With its rose flavoured chewy centre, the promotional Turkish Delight Milk Chocolate is sure to be talked about. Check out our custom Turkish Delight Milk Chocolate. 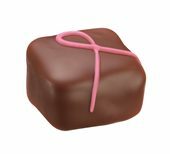 It has a deep rose flavoured chewy centre with a coating of light milk chocolate marked by its impeccable marriage of aromas. The swirl design is also every bit as indicative of the harmony in every bite. The bold floral taste and the delicate chocolate are the things that make up Turkish dreams. A tray has 42 pieces of pralines. Each treat has a width of 150mm and a height of 55mm. Keeping this star performer is a great investment in exquisite craftsmanship. For variety, you may likewise include other equally flavourful pralines from our product line. The production batch for this requires only a minimum order of 4 trays. Note that at the first bite, this treat has a reputation of having our clients regretting not ordering a lot more! 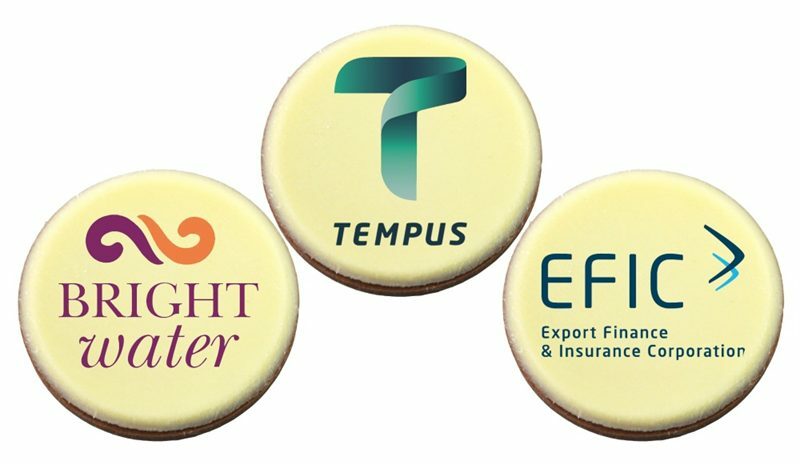 Being a long time bestseller, the branded Turkish Delight Milk Chocolate giveaway will make for a heart-warming imprint on your client’s heart. Tasting the quality will seal the deal for many more pleasant encounters to come, whether during meetings or outside of work. This winning choice will make sure that your little gesture counts in building years and years of goodwill and business. We also invite you to take a look at other great promotional ideas on our website. The promotional Choc Orange Drops Frosted Noodle Box is one that’s sure to be a hit at parties and other celebrations. You should also check out the personalised Standard Foiled Statuette Mini 3D, which is also an attractive giveaway. Might as well check out our other promotional items like the custom Peruvian Beanie if you really want to make an impact on that promotion. Custom quotes are available upon request. Dial 1300 008 300 to speak to a sales staff, or chat with us through that chat box.